The 1.0.5 build is highly recommended for all PlayUp Tools users as it has even bigger efficiency improvements than the September version. It reduces the number of entities generated significantly, both in Unity 3D as well as CryENGINE as scale is now properly being handled in the level and layer files. 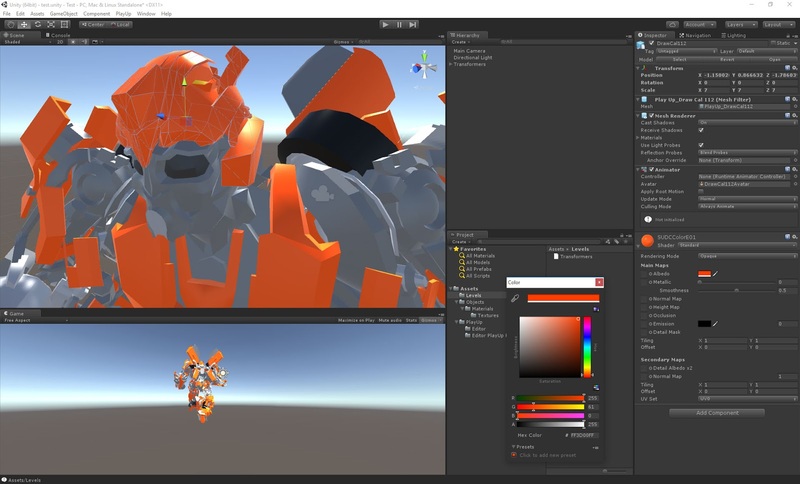 Unity 3D users can now spend less time waiting for the textures to finish as well as there is now batch processing all textures at the very end of the export process. 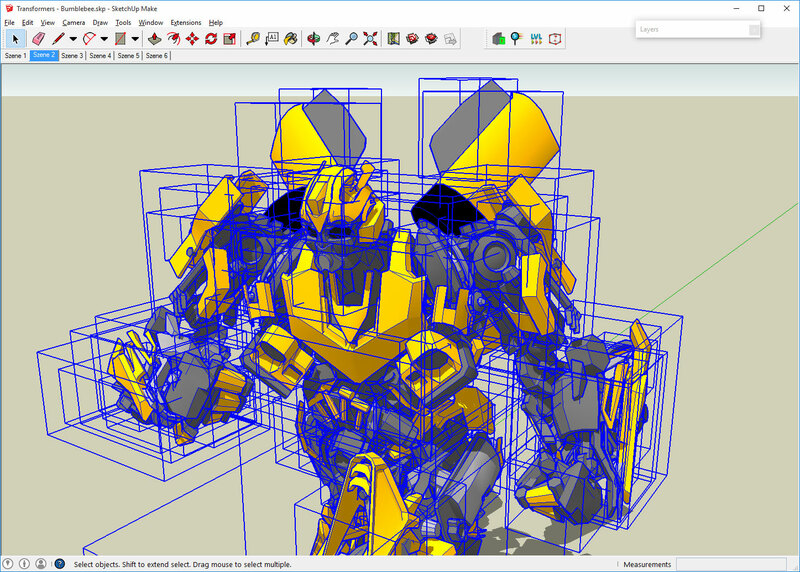 The Unity exporter has one other improvement: it makes only 1 material for a solid SketchUp color so that it can be managed and tweaked as one material in many meshes. 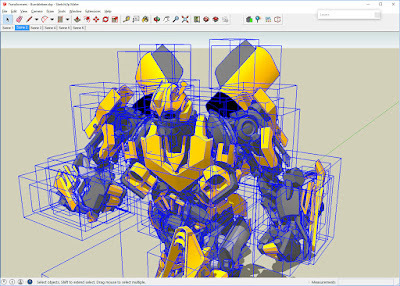 For an example of how the SketchUp colors now work in Unity, let's take this example of Bumblebee that was grabbed from the SketchUp 3D warehouse. As you can see, he is not being exported as one group or component for this example. In the previous build, the material for the yellow chest plate would come into Unity 3D with the name "chestplate-1-SUDCColorE01" and the yellow helmet would be "helmet-1-SUDCColorE01". So if you wanted to change the yellow to be a little more shiny, you would have to change each material for each piece. 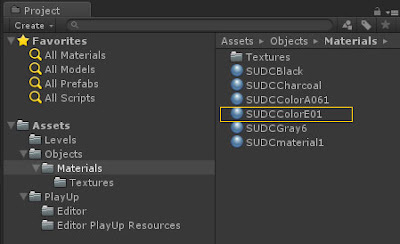 However, now there is only the material "SUDCColorE01". Which means you now only have to modify one material to get the desired effect. In addition, there was a bug fix for CryENGINE that only occurs very rarely with nested rotated entities. On these rare occasions, sometimes a value is pushed out of the -1 to 1 range for acos and asin causing an export to fail. This is now being handled properly.